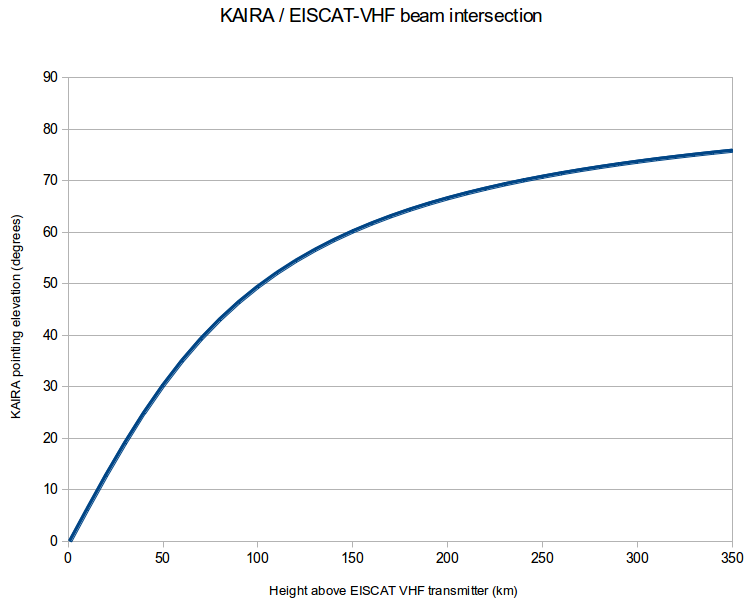 In order for the KAIRA beam to intersect the vertical EISCAT VHF transmitter beam, the elevation must be set as follows. (All data provided by I.I.Virtanen, U. Oulu). 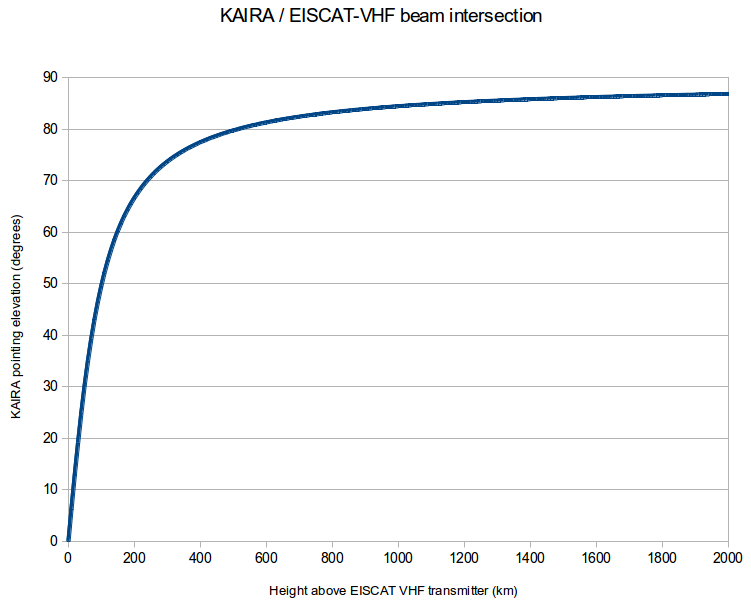 Note that the azimuth to the EISCAT VHF is 313.95 degrees. The numbers for the above plots are as follows. 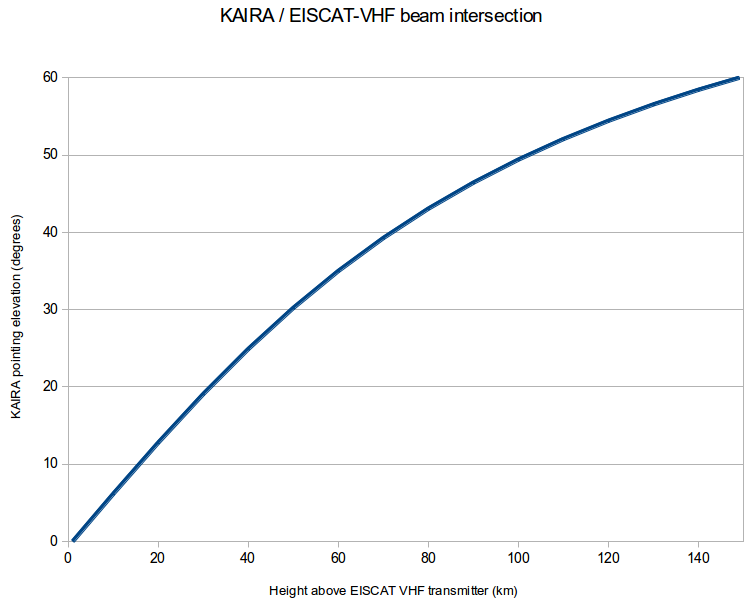 Hgt is the height above the EISCAT VHF transmitter in kilometres and Elev is the require elevation of observation from KAIRA to have the beam centre at this height. We hope you read all these numbers and memorised them!